Swish: Do you sneeze when you look at bright lights? Do you sneeze when you look at bright lights? Lots of people think I'm weird for looking towards the sun or at other bright lights when I need to sneeze. I have now found out that it is a known medical condition called Autosomal Dominant Compelling Helio-Ophthalmic Outburst Syndrome. Read about it here. It was noticed by Karen that this can be shortened to ACHOO syndrome, and it must be a prank. But no! A search of Google Scholar reveals that it is a documented condition. The reason that I sneeze when looking at the sun is that I have ACHOO syndrome. Yes I do. When I first go out in the morning, a glance at the sun will usually produce half a dozen sneezes. It runs in families. My father and brother have it too. 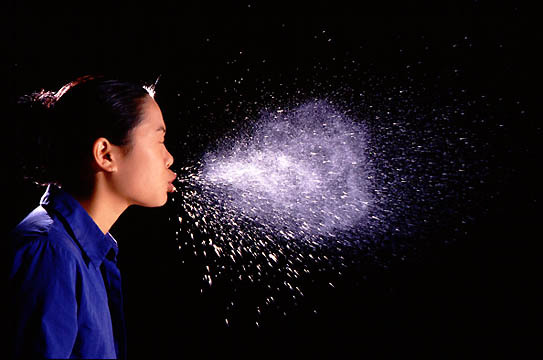 Seems that you are a 'top up' photic sneezer - just use the strong light to bring out a sneeze that won't come.